First of all, she was a mother. 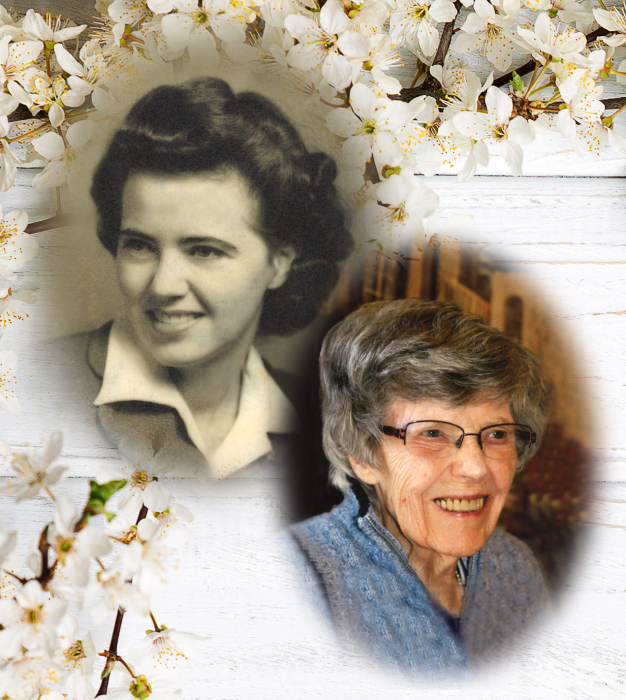 Aletha passed away on April 6, 2019 at the age of 94 years. She was born in Regina, Saskatchewan, November 30, 1924 to George and Hatha Bevan. She went to high school in Edmonton, Alberta where she met the love of her life, Herb McLachlin. They married in 1945 and spent three years in Montreal while Herb attended McGill University. Their first-born, Ron, was born in 1948. Later that year, they took the long train ride to Edmonton for Herb's new position at the University of Alberta. Four more children were born in Edmonton and Aletha devoted her life to raising her family. Aletha had a personality that put others first. She was always present and there for us.... we never went home to an empty house. Often, we were coming from one of the many activities to which we were introduced. She supported all of our interests and encouraged us to try new things. At the same time, we had to be independent, making sure we were able to get to and from our activities without a chauffeur. She volunteered her time whenever help was needed by her family, friends or community, and never showed anger or frustration, just got on with things and made life better. People often described her as "stoic" because she didn't complain or get upset, she just put a smile on her face and carried on. She loved being outdoors and especially enjoyed speed skating for pleasure. She also liked her alone time, taking her sketchbook to sit quietly, sketch a scene and contemplate life. Aletha was 'the rock' of our family and we had the most secure, untroubled lives with her in charge. Aletha was predeceased by her husband, Herb, her granddaughter, Sheila, and her brother, Don. She is survived by five children, Ron (Laurie) McLachlin, Audrey (Don) Newhouse, Barbara (Jerry) Williams, Donna (Paul) Giroux, and Gordon McLachlin (Jenn Hamilton); eight grandchildren, Geoff, Kelly, Jon, Kate, Ashley, Craig, Courtney and Blake; and two great-grandchildren, Sophia and Olivia. The family will gather at a later date for interment in the Waldie/Bevan family plot in Pentiction, B.C.